Not for reverse rotation drive belt accessory drive belt systems. 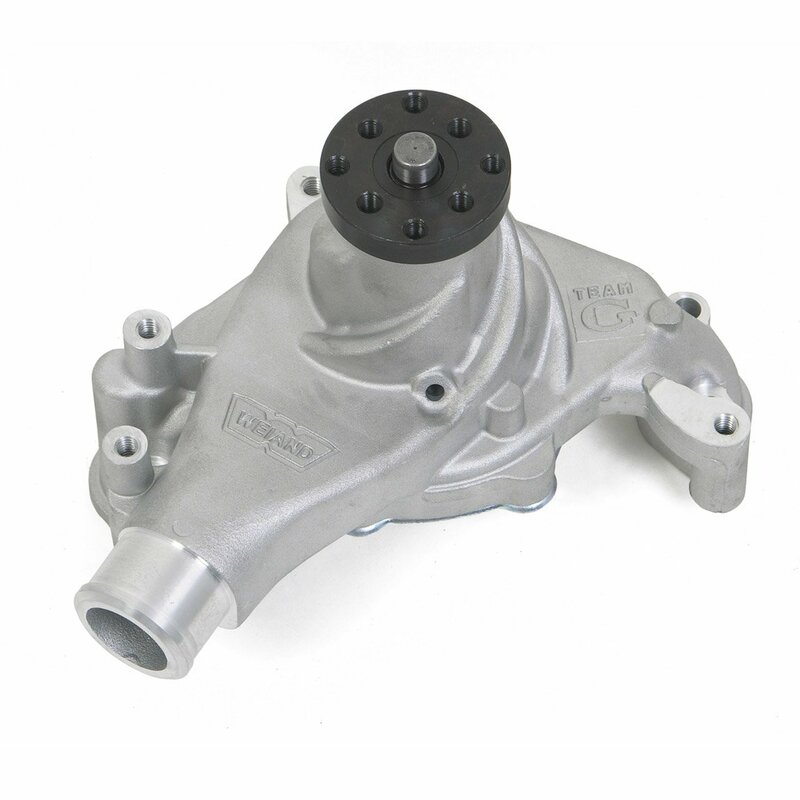 This pump will also work on Chevrolet 90º V6 engines. Dimension from fan mounting hub to block surface: 6.90"